Because we currently live in Backwards Nonsense Crazy World, we now have definitive proof that there’s something that Donald Trump can do longer (and, arguably, better) than human muscle mountain Arnold Schwarzenegger: host The Celebrity Apprentice. 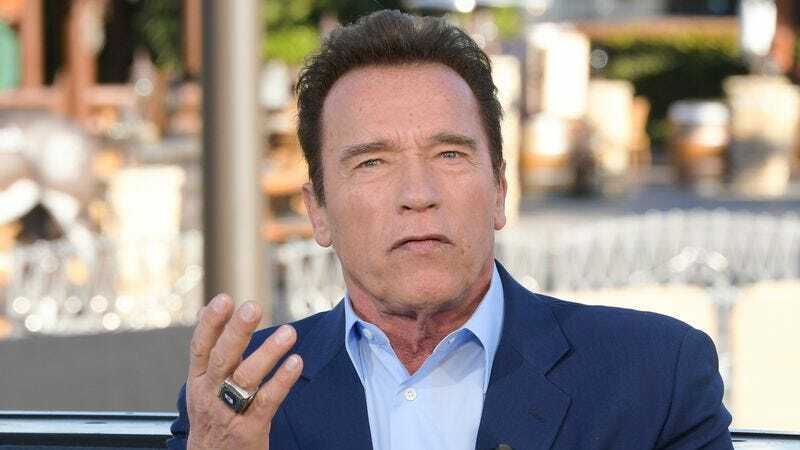 Schwarzenegger has announced that he’s stepping down from his role at the head of the NBC game show, blaming his predecessor for permanently tainting the air around the show. “Even if asked [to do it again] I would decline,” Schwarzenegger told Empire in a recent interview. “With Trump being involved in the show, people have a bad taste and don’t want to participate as a spectator or as a sponsor or in any other way support the show. It’s a very divisive period now and I think this show got caught up in all that division.” Ratings for the latest season of the show—which featured appearances from the likes of Snooki, Vince Neil, and Jon Lovitz, and which was ultimately won by American Ninja Warrior host Matt Iseman—were consistently low. We’ll update this story as soon as Trump barfs out his inevitable presidential tweet responding to Schwarzenegger’s claims.